Would you pull the trigger? The way Dallas did and draft mostly linemen the year they did? I forget the exact year but if you have big troubles on the line and there are good to great options, would you do it? I would in a heartbeat. Re: Would you pull the trigger? CbusVikesFan wrote: The way Dallas did and draft mostly linemen the year they did? I forget the exact year but if you have big troubles on the line and there are good to great options, would you do it? I would in a heartbeat. Depends on the draft class and the other needs of the team. I think it is very risky, but I also think it could be high reward. PurpleMustReign wrote: Depends on the draft class and the other needs of the team. I think it is very risky, but I also think it could be high reward. Even in a year that supposedly the lineman pool is lackluster it couldn't hurt since the Vikings have played lineman roulette for the past decade. If you watch the YouTube videos of any of the 1998 season, that OL was probably the best the Vikings ever had, and they were together for 5+years. I wouldn't mind if the first two picks this year were on the O-Line and they grabbed another one later in the draft. It really depends on how the board breaks though. If something great falls into their lap they shouldn't look past it in favor of O-Line because the Line is a more pressing need. 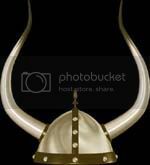 I do want to see them focus on the line hard though, I want to see the Vikes own the Line of Scrimmage again. Dallas actually built their line over time when you look at it, and took some crap for the Fredrick pick at the time. No one goes all OL and for good reason. One, you would have your entire line contracts come up the same year. Two, you can't neglect every other position. And three the draft is a crap shoot. Tyron Smith is a good example, he lost his LT job at USC. Why? Matt Kalil. There were very few people who thought Smith would turn into a better tackle than Kalil. Including the USC coaching staff. S197 wrote: No one goes all OL and for good reason. One, you would have your entire line contracts come up the same year. Two, you can't neglect every other position. And three the draft is a crap shoot. Thank you for pointing that out about the contracts. Definitely not a good scenario. I thought that Dallas drafted like 3 linemen in a single draft the year they drafted Martin. At this juncture, I'd be inclined to go very heavy on defense early. Adding an impact DT and S would be huge, and another CB could also be valuable. You can get RBs in any of the 7 rounds this year who can make an impact. There are backs who would be situational specialists -- such as Cohen from NCA&T or James Conner of Pitt -- all through this draft. They can probably find interior linemen in the 4th and 5th rounds, and the Tackles won't be on the board at 48. This is the bed they have made, and I think its better to draft to their strengths in this one. There's no point trying to remake the team at the 11th hour. They are a defensive team that it going to try to spread teams out and punch them in the gut on offense. Its not an offensive system that depends on excellence so much as mere competence. It has a lower ceiling, but could prove effective when paired with a great defense. The biggest asset to using this approach is that it free up investment in draft capital to be used on the other side of the ball, or on an offensive player who creates a mismatch to be exploited. Its not that different from what the Patriots have done through the years. Cohen and Conner would both be perfect fits in this system or in NE, and the mock tools usually have Conner around until the 4th round and Cohen into the 7th..
edit* If I'm building a team in a vacuum, I would do that. I also would have done that last year with Norv as the OC. I would have traded up to get an OT and drafted very heavily on the OL. I wanted Patrick Willis that year. I was very unhappy selecting a RB that high. fiestavike wrote: At this juncture, I'd be inclined to go very heavy on defense early. Adding an impact DT and S would be huge, and another CB could also be valuable. You can get RBs in any of the 7 rounds this year who can make an impact. There are backs who would be situational specialists -- such as Cohen from NCA&T or James Conner of Pitt -- all through this draft. Drafting a rb later on would be best. Let Murray see what he can do a year or so. Definitely have the flexibility going forward whether it be this year or down the road. It's not a must this year. If we could bolster the lines and a backup QB instead of a back, maybe. The three linemen that I like won't be available when it's the Vikings turn. Feeney, Elflien, and Ramzcyk. I would be most surprised if they were there. 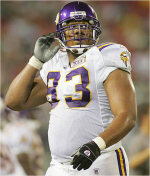 CbusVikesFan wrote: The three linemen that I like won't be available when it's the Vikings turn. Feeney, Elflien, and Ramzcyk. I think Feeney and Elflein will both be there. That would be great if they were. Tough call. That's a lot of picks in front of the Vikings. And a ton of teams need OL help. CbusVikesFan wrote: You like anyone else? The tackle prospects will all be long gone but Feeney is a roll of the dice with all his concussions and Elflein is not a blue chipper. I'd be very surprised if all three of those guys you mentioned are gone at 48, but if so there will be a couple other good prospects available.